INDUSTRY.co.id - Jakarta - Looking ahead, Bank Indonesia predicts 2018 economic growth to be in the range of 5.1-5.5%. 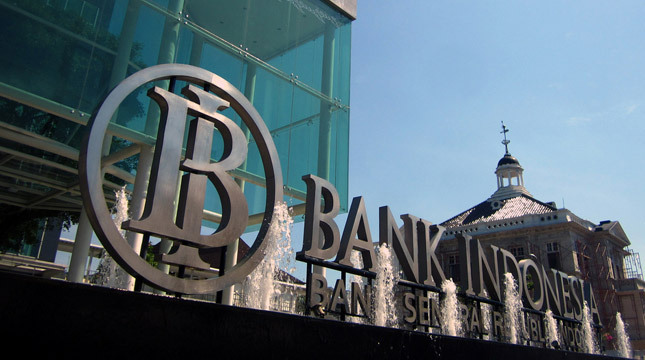 Executive Director of the Communication Department of Bank Indonesia (BI) Agusman said the economic growth will be supported by investment in line with ongoing infrastructure projects and continued non-construction investment including private investment, particularly machinery and equipment. "In addition, exports are forecasted to maintain high growth as the world economy continues to recover and commodity prices remain high," he said in Jakarta, on Sunday (2/18/2018). Realized quarterly GDP growth of Q3 / 2017 to 5.19% (yoy) from 5.06% (yoy) in the preceding quarter indicated the ongoing recovery of the domestic economy. The improvement in economic growth is also supported by a stronger structure with investment and exports as the main source of growth. According to him, investment grew quite high by 7.27% (yoy) driven by an increase in building investment in line with continued infrastructure development and increased non-construction investment in anticipation of an increase in demand in the future. Meanwhile, exports grew quite high 8.5% (yoy) affected by the positive impact of world economic recovery and commodity price increase. In addition, he said, economic growth is also driven by the acceleration of government spending amid quite stable household consumption supported by controlled inflation. On the business side (LU), continued economic recovery is mainly driven by improved performance of LU Construction, LU Transportation and Warehousing, as well as LU Information and Communications. Meanwhile, the performance of the LU Processing Industry as a whole is still limited even though the performance of a number of industries has started to increase, such as food and beverage industry, textile and garment industry, and basic metal industry. On the spatial side, the economies of Sulawesi, Maluku, and Papua grew increasing amid economic growth in Java, Kalimantan and Balinusra which slowed and stable economic growth in Sumatra. With these developments, economic growth for the whole of 2017 reached 5.07% (yoy), the highest in the last four years.